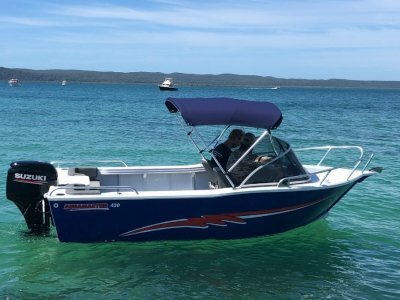 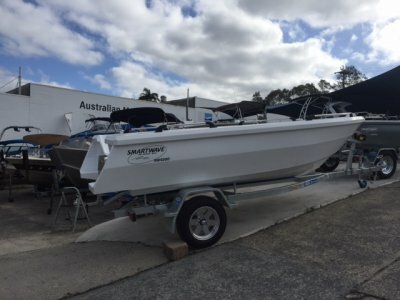 The AQUAMASTER 4.20 CENTRE CONSOLE team have built an excellent reputation for producing quality products specialising in aluminium boats from2.4 metres to 6 metres. 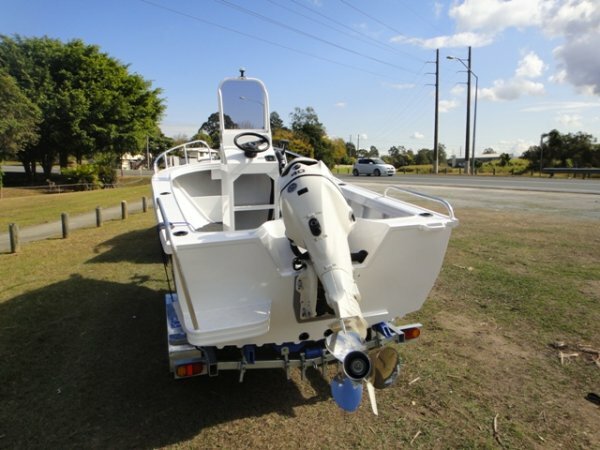 They manufacture small tinnies, centre consoles, runabouts, side consoles, bass boats, half cabs and bow riders and are built to be extremely stable and handle choppy water well. 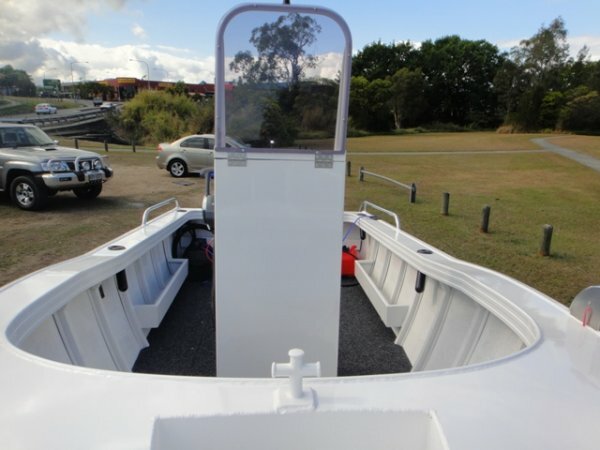 Aquamaster manufacture a fully welded, strong boat with a thick grade of aluminium. 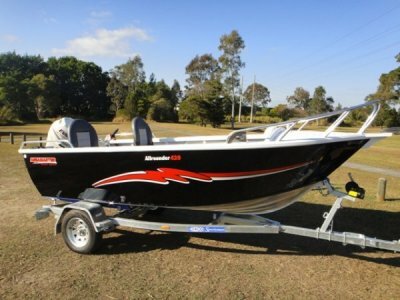 The Aquamaster range is a great all rounder boat, suitable for fishing, a family picnic on the beach or towing the kids around on a tube. 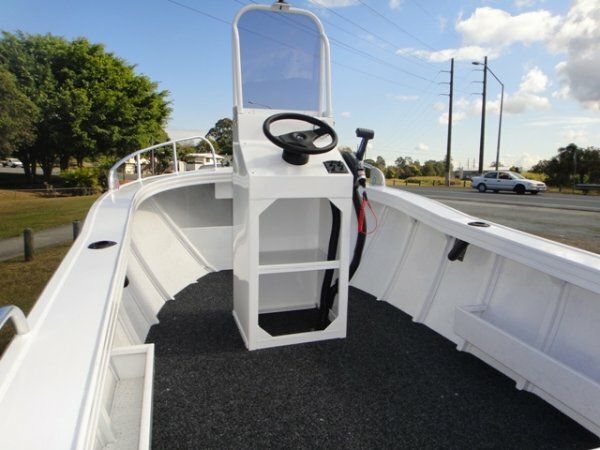 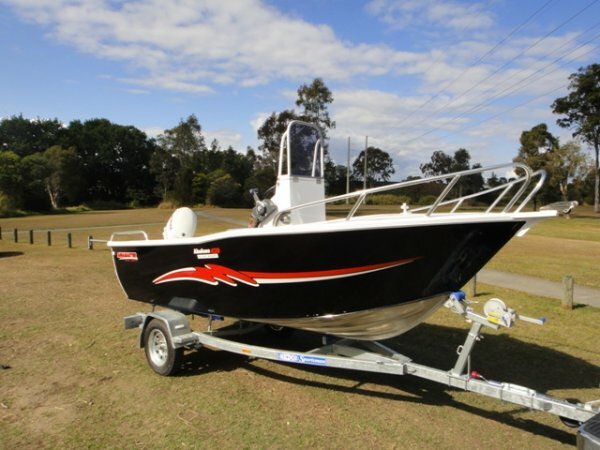 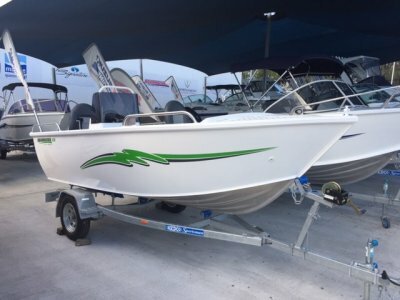 The Aquamaster Centre Console range with its' raised sheer line, large spray chines and wide open cockpit space, makes this vessel a great fishing platform. 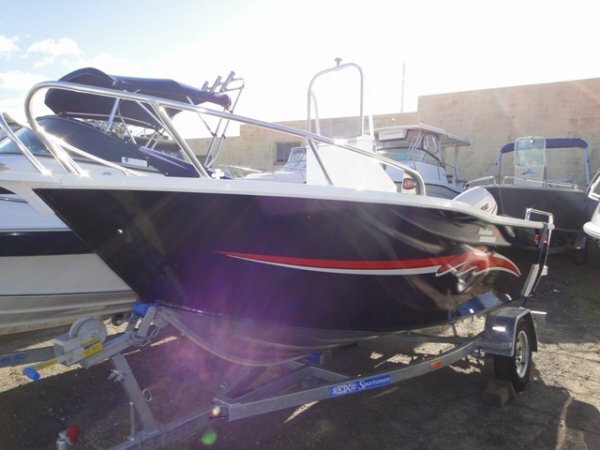 This boat can be fitted with various size engines from 30-40HP and a variety of popular optional extras. 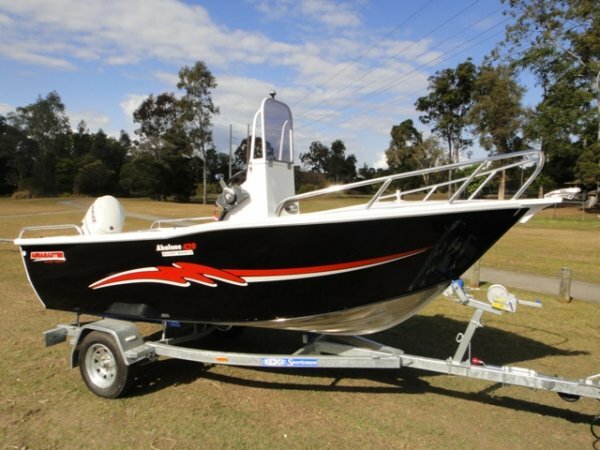 For more information or to customise a package, please speak with our Sales Team.